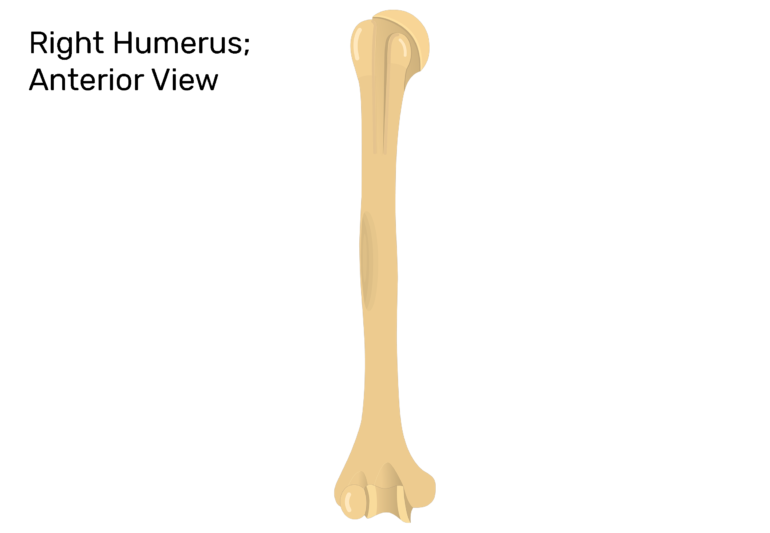 The humerus is a long bone that supports the upper arm (upper arm bone). 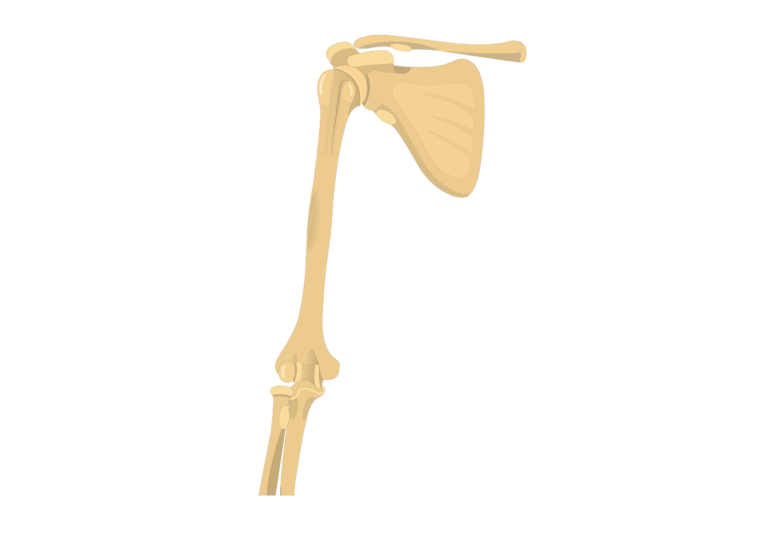 It extends from the shoulder joint to the elbow joint. 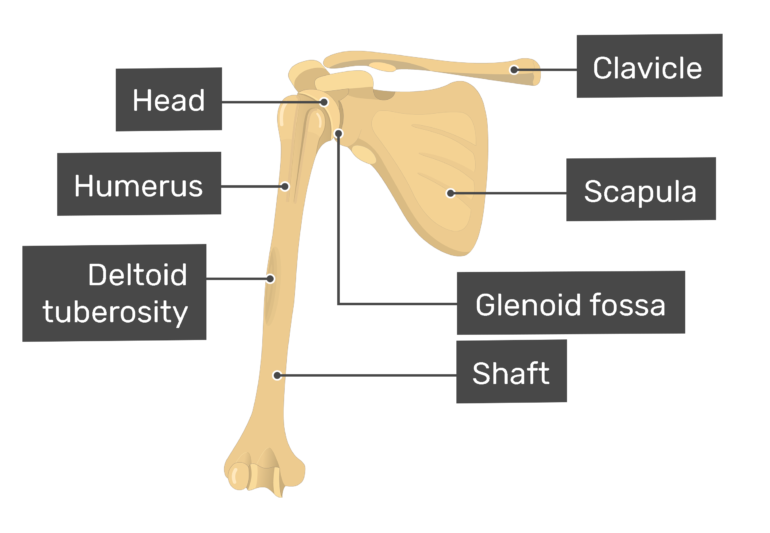 At its proximal end, the humerus is attached to the axial skeletal by the shoulder girdle or pectoral girdle, which consists of the scapula and clavicle bones. 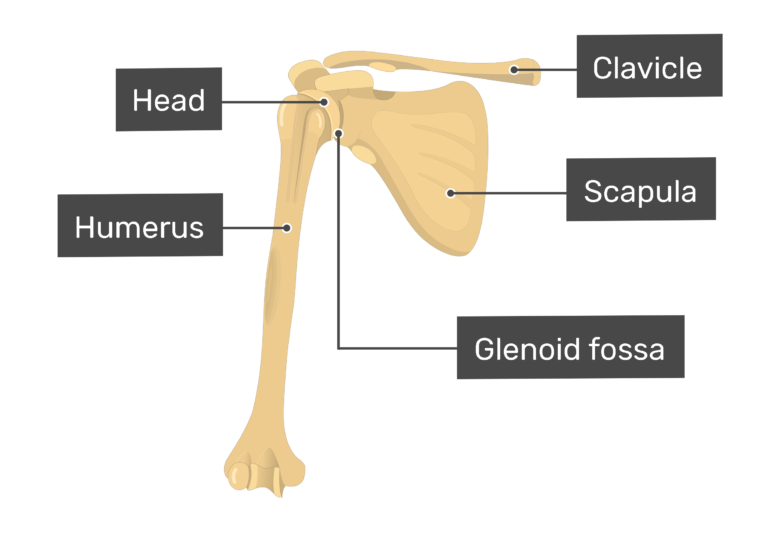 The rounded humeral head fits into the glenoid fossa (cavity) of the scapula. 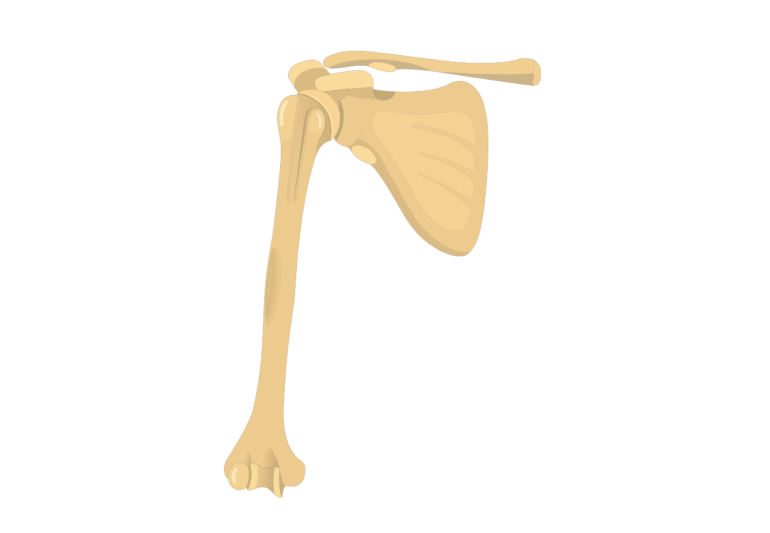 This shallow depression on the lateral side of the scapula allows the shoulder joint to be very mobile but also reduces its stability. 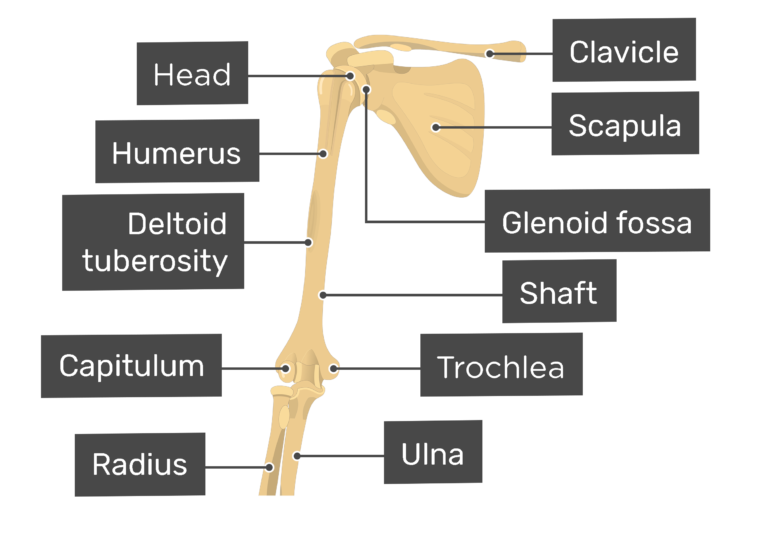 Muscles from the shoulder girdle help stabilize the joint and control the front-to-back, side-to-side, and rotational movements of the humerus. A long, cylindrical shaft (body) makes up the middle part of the humerus. 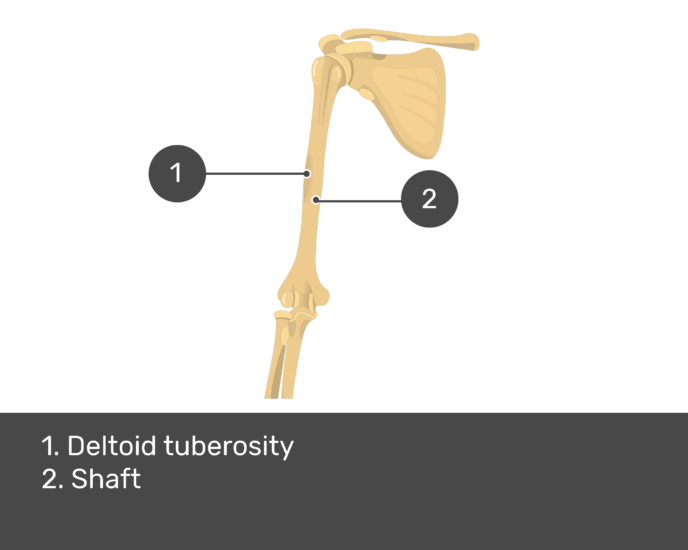 Most of the shaft’s surface is smooth except for the deltoid tuberosity, which is located near the midpoint of the lateral margin. The shaft is an attachment site for several muscles that move the upper arm and lower arm. 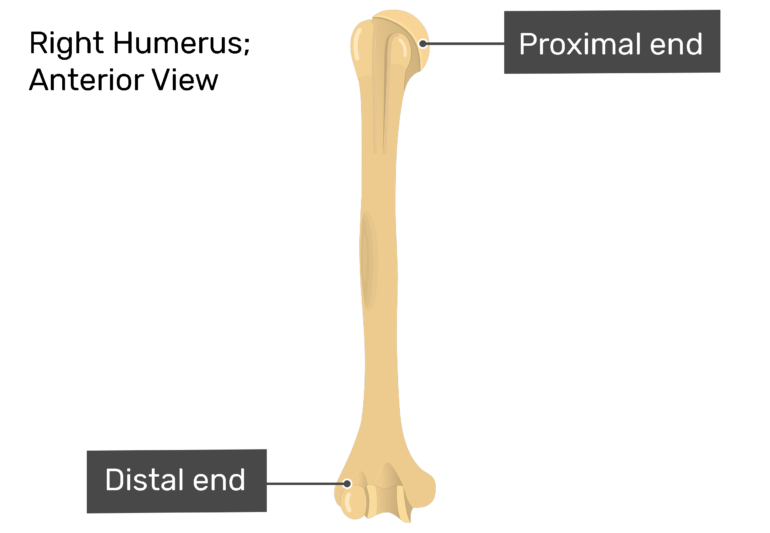 Distally, the humerus joins medially with the ulna and laterally with the radius at the elbow joint. 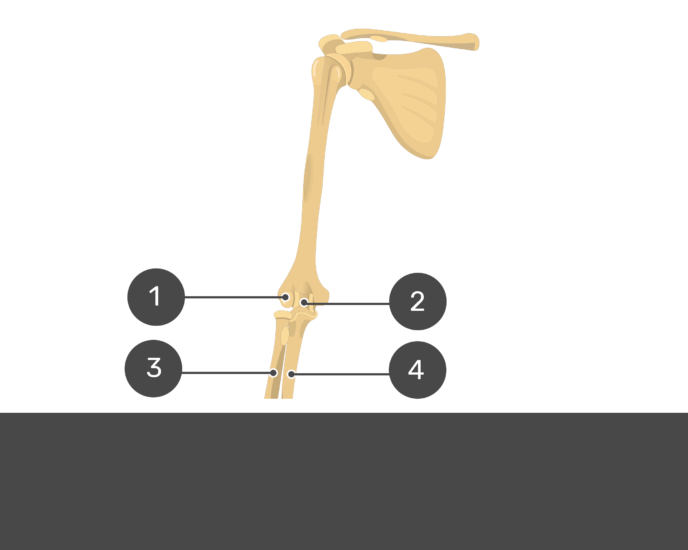 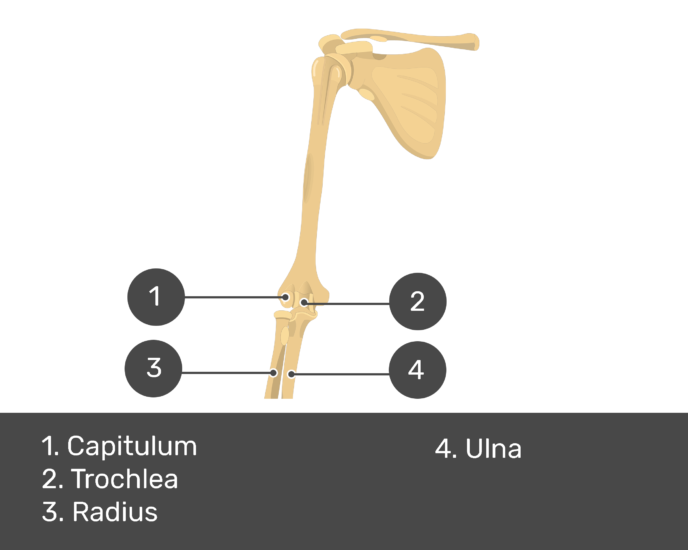 The humeroulnar joint is formed by the pulley-shaped trochlea of the humerus and the trochlear notch of the ulna. 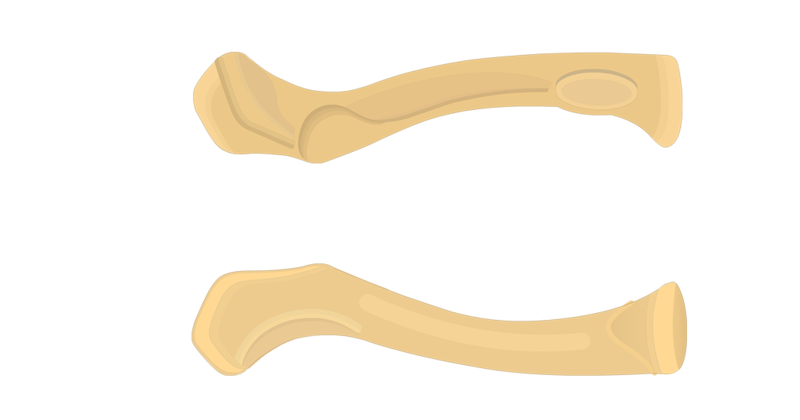 The humeroradial joint is formed by the rounded capitulum of the humerus and the concave superior surface of the radial head. 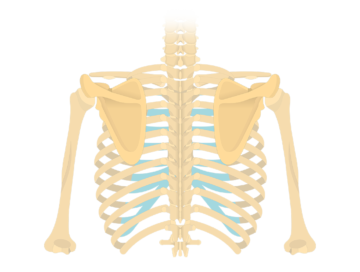 The bone markings of the posterior scapula include the superior border, medial border, lateral border, superior angle, lateral angle, inferior angle, scapular spine, acromion, supraspinous fossa, infraspinous fossa, glenoid cavity and the infraglenoid tubercle. 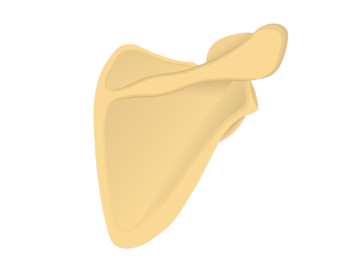 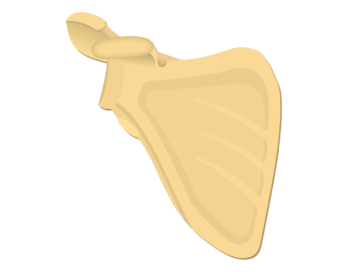 The scapula is a flat, triangular-shaped bone that lies adjacent to the posterior surface of ribs. 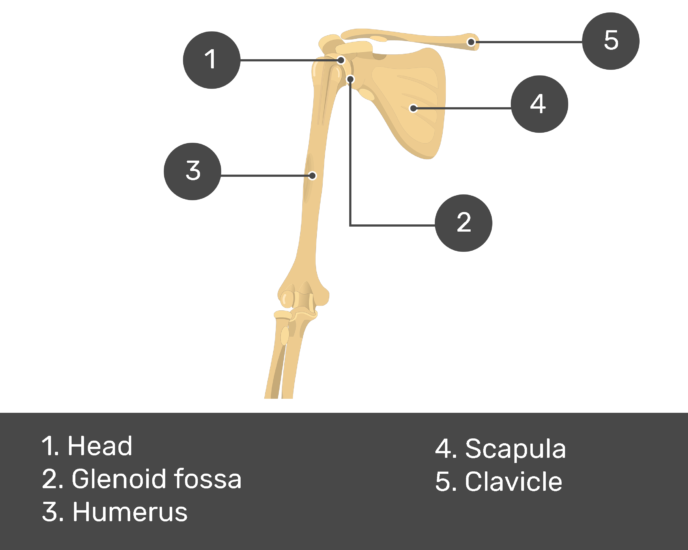 Seventeen muscles attach to the scapula, and it articulates with the clavicle to form the shoulder girdle or pectoral girdle, which supports movements of the humerus. 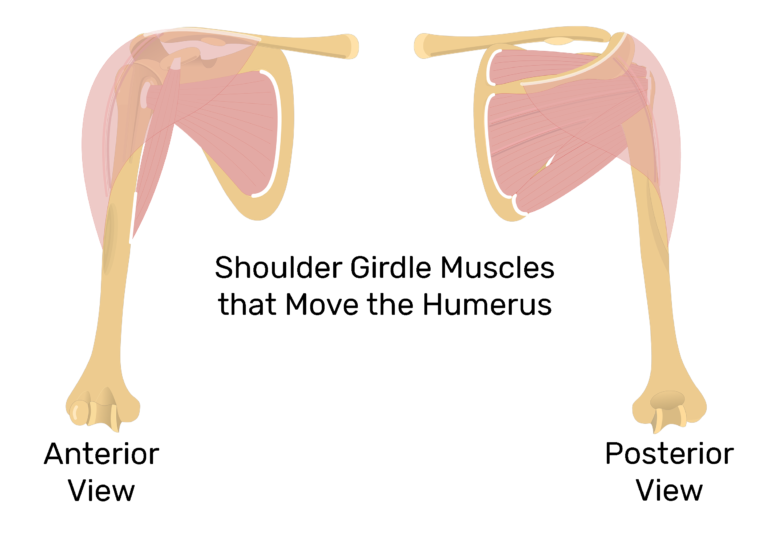 The bone markings of the anterior scapula include the superior border, medial border, lateral border, superior angle, lateral angle, inferior angle, coracoid process, suprascapular notch, glenoid cavity, infraglenoid tubercle, and the suprascapular fossa.